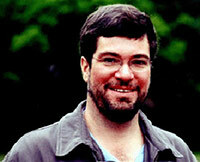 Jeffrey Taylor (Ph.D., Michigan) has been a member of the Conservatory faculty since 1993. He specializes in jazz and other areas of music in the United States, though he also teaches general courses in Western music history and musicology and has regularly led sections of the Conservatory's introductory Core course (he is also a co-author of that course's textbook). He is also on the faculty of the CUNY Graduate Center, where he teaches doctoral seminars in American music and jazz history and historiography. His scholarly work has focused primarily on pre-1940s jazz, though his interests include many aspects of current trends in jazz and popular music scholarship and performance, particularly those related to race, gender, class, sexuality and spirituality. He is on the editorial boards of Black Music Research Journal and The Journal of the Society for American Music. His writing has appeared in Musical Quarterly, Black Music Research Journal, American Music, American Music Review, and other publications. As a performer, Taylor has focused primarily on the work of early jazz pianists such as Jelly Roll Morton, Fats Waller and James P. Johnson, and in 1998 appeared with fellow pianist Artis Wodehouse at several events related to ISAM's The Gershwins at 100 festival. His volume in the MUSA (Music of the United States) series, Earl "Fatha" Hines: Collected Piano Solos, 1928-41, won the Claude Palisca Award from the American Musicological Society in 2007. He recently published an essay in the collection Big Ears: Listening for Gender in Jazz Studies, co-edited by Sherrie Tucker and Nichole T. Rustin (Duke). He is currently at work on several entries for the second edition of the New Grove Dictionary of American Music and Musicians (Oxford) as well as a book titled Earl Hines and Chicago Jazz (California). Trained in folklore, ethnomusicology and American studies at the University of Pennsylvania, where he received his Ph.D. in 1987, Ray Allen has been affiliated with the Hitchcock Institute since 1993. His research has ranged from African American gospel, Caribbean Carnival music and the folk music revival to the works of composers Ruth Crawford Seeger and George Gershwin. His books include Singing in the Spirit: African-American Sacred Quartets in New York City (University of Pennsylvania Press), Island Sounds in the Global City: Caribbean Popular Music in New York City (University of Illinois Press, co-edited with Lois Wilcken), Ruth Crawford Seeger's Worlds: Innovation and Tradition in Twentieth-Century American Music (University of Rochester Press, co-edited with Ellie Hisama), and most recently Gone to the Country: The New Lost City Ramblers and the Urban Folk Music Revival (University of Illinois Press). Allen co-edits American Music Review with Jeffrey Taylor. Through the institute he has coordinated a series of scholarly conferences, including Black Brooklyn Renaissance: Black Arts and Culture in Brooklyn, 1960–2010; New York City's Friends of Old-Time Music and the Urban Folk Revival (2006); Calypso in New York and the Atlantic World (2004); Folk Music in the American Century: An Alan Lomax Tribute (2003); Ruth Crawford Seeger: Modernity, Tradition, and the Making of American Music (2001); Gershwin at 100: An American Artist and His Music (1998); Henry Cowell's Musical Worlds (1997); and Island Sounds in the Global City: Caribbean Music in New York (1994). Allen teaches courses on music of the United States and New York City as well as cultural studies courses in Brooklyn College's American Studies program, which he directed from 1998 to 2010. Stephanie Jensen-Moulton received her Ph.D. in musicology (with a dissertation on Miriam Gideon's 1958 opera Fortunato) and a Women's Studies Certificate from the CUNY Graduate Center in 2008. Her work has been published in Critical Minded: New Approaches to Hip Hop Studies, edited by Ellie M. Hisama and Evan Rapport, and most recently, in Sounding Off: Theorizing Music and Disability, edited by Neil Lerner and Joseph N. Straus. Jensen-Moulton's scholarly work focuses on three operas written by women in 1950s New York City, including works by Miriam Gideon, Julia Perry, and Louise Talma. As a performer, she specializes in contemporary repertory, and has been hailed by The New York Times as a soprano who sings "brilliantly and confidently." 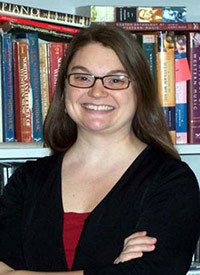 Her research interests include American music, women in music, and disability studies. A specialist in music in the United States after 1900, Jensen-Moulton places particular importance in her work on music as a product of culture. Her current research focuses on music by women composers, feminist ways of engaging musical texts, popular music studies, and the body as a musical technology. Jensen-Moulton spent the fall 2009 semester researching the cultural role of disability in five American operas written since 1900. She presented her work on muteness in Menotti's The Medium at the first CUNY Symposium on Music and Disability, of which she was also a chair. She also received a contract to publish her edition of Miriam Gideon's opera Fortunato as volume 72 of the A/R editions series Recent Researches in American Music, forthcoming in 2012. Other forthcoming publications include a chapter on Pauline Oliveros in New Approaches to Experimental Music (University of California Press) and an article on art music in American culture (Clio Press). 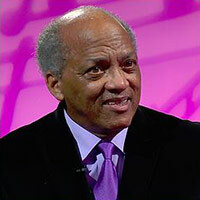 Randall Horton is adviser to the American Music Educational Television Project, the shared educational initiative between HISAM, the Brooklyn College Department of Television and Radio, and PBS-member station KRCB-TV in Northern California. The television project, a talk-show series, is broadcast on KRCB and CUNY TV as American Music, and serves as a Public Television forum for scholars, musical artists, and documentarians. Horton began the project in California while assistant to the director, American Music Research Center (now based in Colorado). He was initially encouraged by Dr. Hitchcock and other scholars from the Society for American Music, developed the early series at the University of North Texas Department of Television and Radio, and was nurtured by KRCB officers and CUNY faculty. Randall's eclectic music background and career may be seen at http://www.randallkeithhorton.com. Whitney George is a composer and conductor who specializes in the use of mixed media to blur the distinctions between concert performance, installation art, and theater. Utilizing a wide variety of material including literary texts, silent film, stock footage, and visual arts, George's compositions are characterized by an immersive theatricality that thrives on collaboration in all phases of the creative process. Her affinity for the macabre, the fantastic, and the bizarre frequently gives rise to musical programs that evoke the traditions of phantasmagoria and melodrama, challenging musicians to experiment liberally with their stage personae, and audiences to widen the scope of their attention. George's projects have incorporated the talents of photographers, actors, graphic designers, writers, and fellow musicians. She is the artistic director and conductor of The Curiosity Cabinet, a chamber orchestra formed in 2009 whose members were culled from a network of close collaborators within New York's diverse new music scene. The Cabinet's live performances often engage playfully with the prototype of the classical concert, imbuing even non-theatrical compositions with elements of drama.